The Desautels Faculty of Management is delighted to announce that Marcel Desautels, CM, O.Ont., LLD’07, was honoured with the Friend of McGill in Toronto Award at the inaugural McGill Toronto Excellence Awards in Toronto at a special luncheon event on Thursday, June 7, 2018. This new awards program is an exciting opportunity to showcase the outstanding accomplishments and celebrate the achievements of McGill graduates and friends of McGill in the Toronto area. In honour of a non-graduate of McGill, the Friend of McGill in Toronto Award is presented to a leader in the Toronto community who is an ambassador for the advancement of higher education, and promotes McGill and its tradition of excellence in the GTA. McGill may not be Marcel Desautels’ alma mater, but it is near and dear to his heart. As a constant champion for the Faculty and McGill, Marcel Desautels encourages others to become involved with the Faculty as volunteers and as donors, and he leads by example. He has been a valued Faculty Advisory Board member since 2005, and more recently he has served as honorary co-chair MBA Next 50 Campaign. Perhaps most tellingly, he proudly wears his McGill shirt whenever he travels! 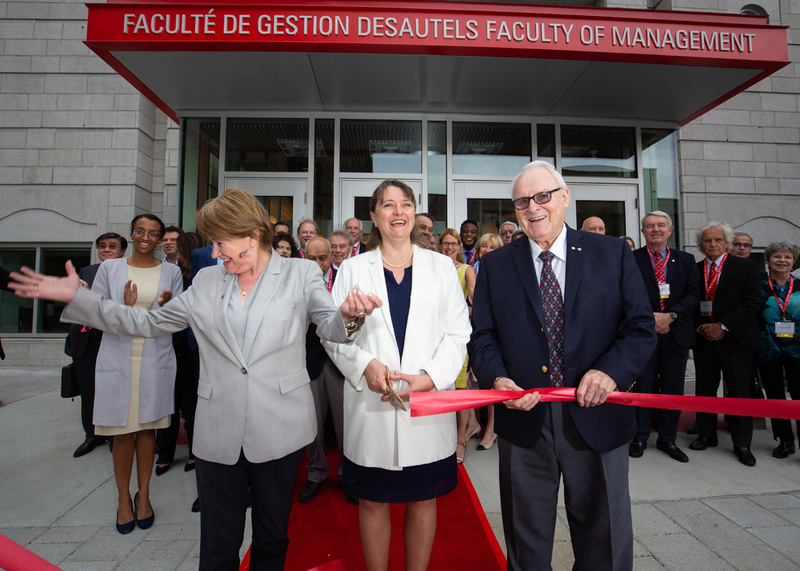 Through his support, Dr. Desautels has transformed the Desautels Faculty of Management with more than $38 million in gifts. His generosity has created and reengineered programs, research, and curricula; nurtured the Faculty’s students and professors; created new physical spaces; and inspired other donors to the University. Since he started giving in 2005, Dr. Desautels has visited the campus at least twice each year. Each of those visits includes an opportunity to meet with students, both at the Desautels Faculty of Management and at the Schulich School of Music. He thrives on the interactions with young people, and he is the consummate role model for them, personally keeping in touch with many students after graduation. His affection for the Desautels Faculty of Management inspires students and staff to be more involved in the University community.